There’s one person I wanted to talk to more than any other for DARK KNIGHT WEEK — and it wasn’t Frank Miller. It was Dave Gibbons. 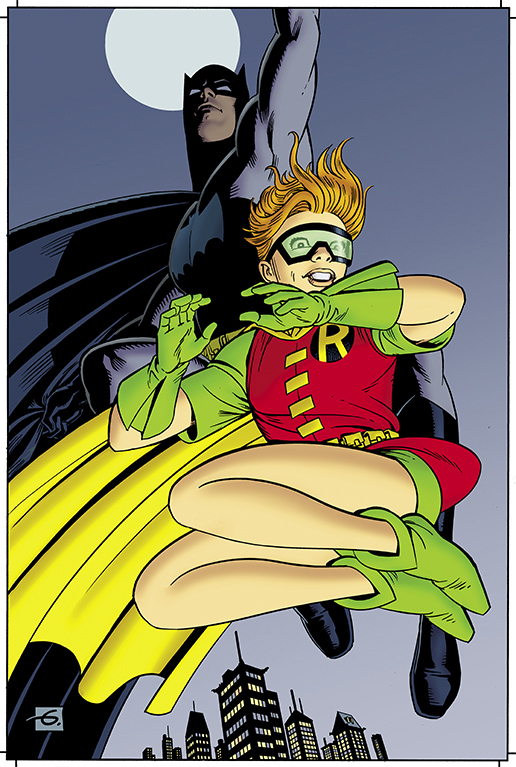 Gibbons and Alan Moore, I figure, have a completely different perspective on Dark Knight Returns than most: Watchmen and DKR played out at roughly the same time and together they completely altered comics — and by extension, popular culture in general — in the decades to come. In Part 1 (click here), creators remember their initial impressions of Miller’s landmark work. In Part 2 (click here), they discuss how the work influenced them as storytellers. In Part 3 (click here), they pick their favorite “HELL YEAH!” moments. 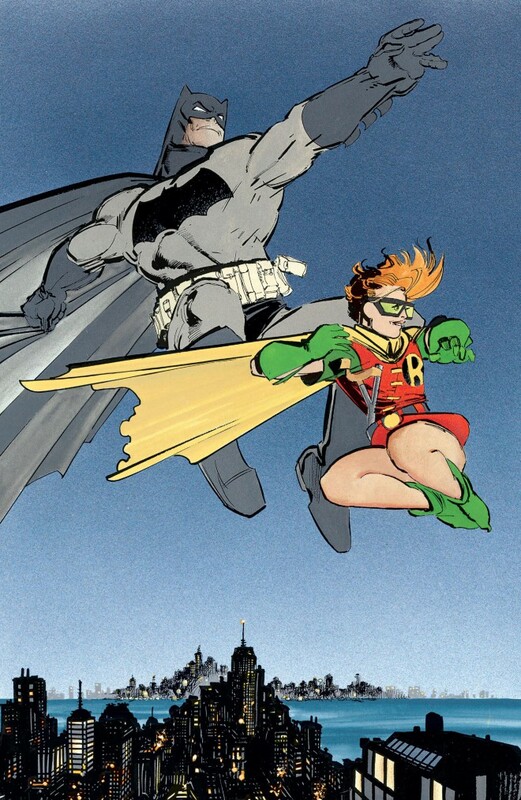 Dan Greenfield: Dark Knight Returns #1 came out just a few months ahead of Watchmen. How aware were you of what Miller, Janson and co. were doing before the release? Dave Gibbons: Yeah, we were pretty aware of it. In fact we were quite worried about it at one point because the first we heard was that Frank was doing a story which dealt with a retired Batman and given that Watchmen was a story about retired superheroes, we were maybe just slightly concerned that we might be playing in the same sandbox. But as it turned out, Frank’s take was completely different to ours. And, of course, he was dealing with an established character rather than with new characters. 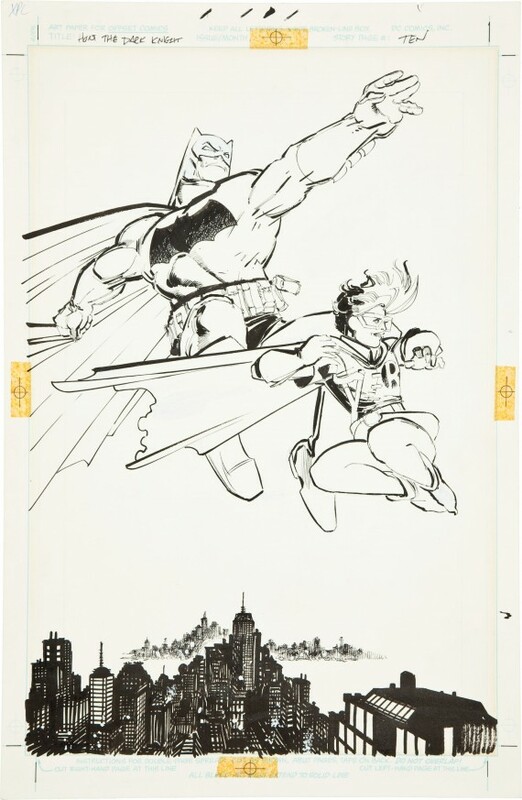 But I do remember being sent some advance Xeroxes of Dark Knight Returns #1 by Richard Bruning, who was at that time the head of design at DC and I was absolutely blown away by the Xeroxes to see what Frank had done. It was a great relief to see that he wasn’t doing what we’d done. Of course, we hadn’t actually spoken—myself and Alan and Frank—we hadn’t spoken about what we were planning to do so it was just absolutely coincidental that we both hit on the same kind of area of superherodom. So, yeah. we’d seen what Frank was doing and I certainly felt that it was raising the bar. It was really quite unlike anything that had been done with the mainstream DC heroes or, come to that, the Marvel ones, apart from what Frank had done with Daredevil. Dan: Once it hit, what was your initial reaction? Did you have any sense of the impact it was having? Dave: Ummm…yeah. I mean, it did have a seismic effect. 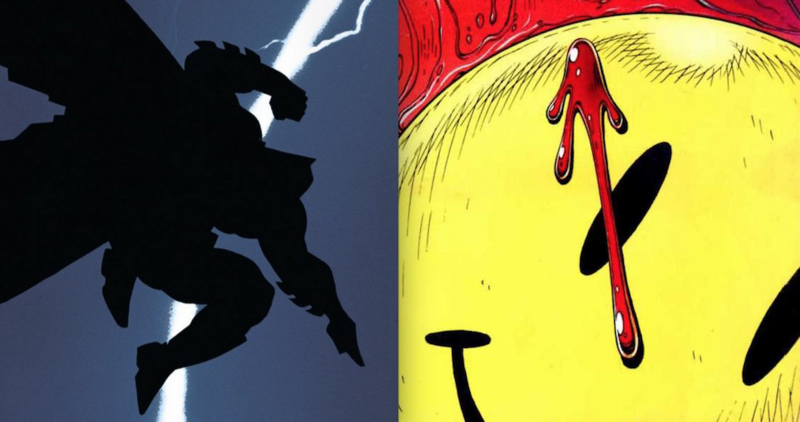 I think the double whammy of Dark Knight and Watchmen really did draw the attention of mainstream media and sort of pop culture—or just culture—outside of comics. 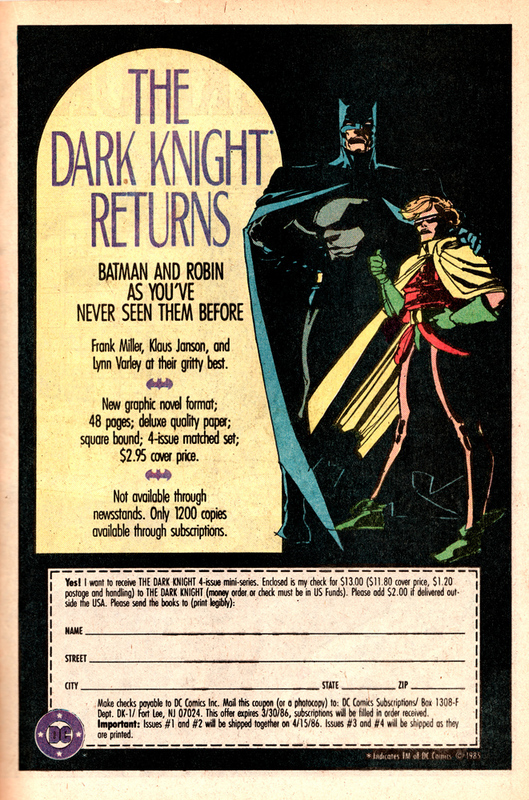 I can remember meeting up with Frank in San Diego when maaaaaybe Dark Knight had all come out or at least up to Issue 3 had come out. And I was still working on Watchmen and seeing how he was absolutely swamped by fans. This was in the days when the San Diego Con was not in the huge building on the harbor but was in the sort of civic center. And he was just mobbed! And I remember kind of rescuing him from there and us going off for a beer together. Yeah, it was rock-star levels of fame, I think. Dan: So as both played out, what kind of interplay was there between you and Miller, Janson, et al? Dave: Well, you know, Frank and I had become friends and Alan and Frank had become friends a couple of years before, when Frank was working on Daredevil and he came over to a convention in England. I remember jokingly pitching an idea to Frank that we should do a Daredevil issue together that he would write and I would draw and it was all gonna be seen through Daredevil’s eyes, which, of course, meant it would be an issue full of very artfully proportioned solid black rectangles with captions and balloons on them. Frank gave me that kind of look that he gives you when he’s not sure if you’re kidding or being straight and you’re not sure if he’s being kidded or being straight. So we’ve been good friends since then and over the years we had a good few drinks together and, of course, Alan had done a kind of tribute to what Frank and Klaus Janson had done on Daredevil in a British comic where he kind of lampooned the camera angles and the artfully shaped panels and the Zip-a-tone that Frank and Klaus would use. So, yeah. We were all swimming very much in the same little pond. 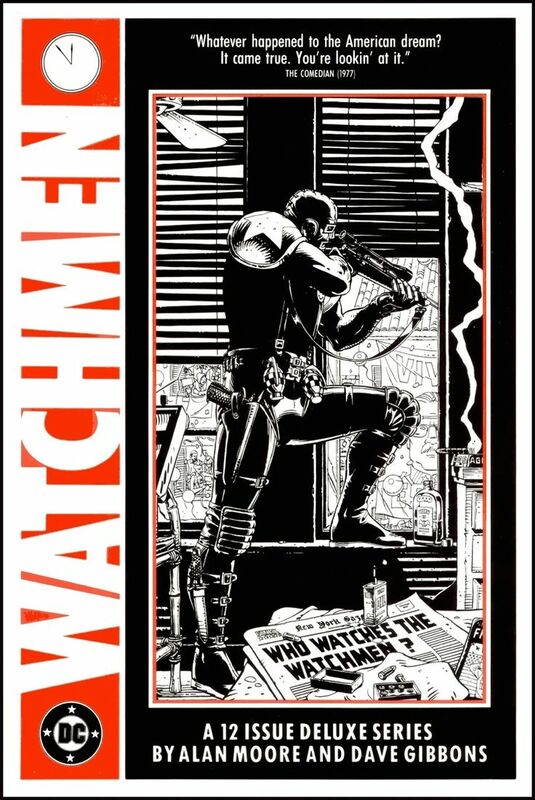 Dan: Now, I know this is a gross oversimplification but Watchmen/Dark Knight is like Beatles/Stones. Both bands in later years admitted how much they were watching the other and how competition drove them. Was there a point where you felt challenged by the Dark Knight? Dave: No, it wasn’t an idea of being challenged or that either of us were trying to be the top comic. It just felt great to see… I mean what Alan and I did was try and do the kind of comic that we wanted to read and as it happens, what Frank did was exactly the sort of comic we wanted to read, too. So, if there was any rivalry, I guess it wasn’t really rivalry. It was more esprit de corps, both being lucky enough to be seemingly in the right place at the right time, being able to shake things up a bit and draw the attention of the mainstream media to comics. It was just very, very fortunate at this time. Of course, if there had been a great time difference and we had a chance to absorb the idea of a retired Batman, it might have changed our approach to what we did in Watchmen. We might have tried to steer clear of what Frank had done or look at it from another direction and vice versa. So it was very fortuitous that we both came out at the same time. We were both dealing in similar areas but completely, independently… and really only being driven by our own personal creativities. Dan: As a creator, did it influence you at all as a storyteller? Dave: No, I don’t think so. 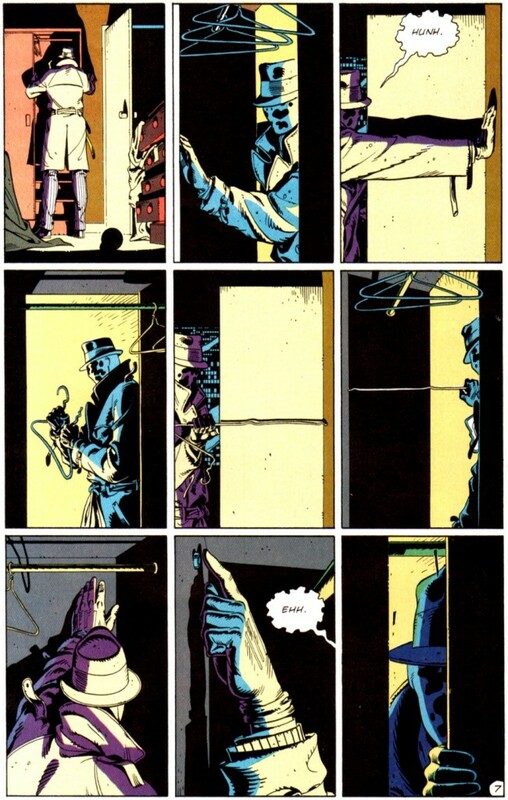 I mean, I’d hit upon the idea of doing Watchmen on a nine-panel grid, which Alan very much supported me in and, of course, which gave him wonderful storytelling opportunities because he could predict exactly where panels were going to fall on a page and how big they were going to be. 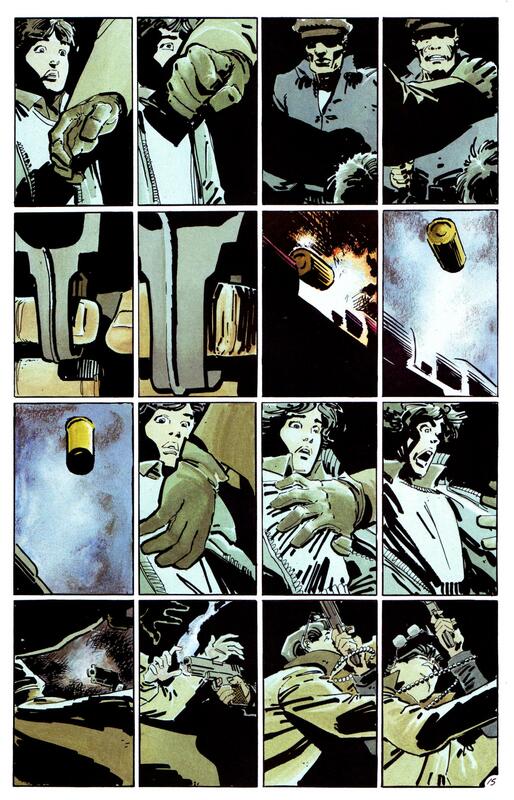 And Frank, completely independently, had come up with the idea of doing what is essentially a 16-panel grid, a 4-by-4 grid, with Dark Knight, but he rather hid it by having everything based on that proportion but sometimes having small panels inset on larger panels. Slightly more free form. So I guess we both hit on a similar idea at the same time. I think a lot of my storytelling influences and Alan’s storytelling influences were the same as Frank had anyway, people like Will Eisner and Harvey Kurtzman, Jack Kirby, obviously, and the people who worked on EC Comics, you know? Will Elder and Wally Wood in my case particularly. But I don’t think there was a direct influence on a storytelling level. Dan: You eventually had the chance to work with Miller. Describe how that was compared to working with Alan Moore. Dave: Well, I’m going to fall back on a cliché here but I think—like all clichés—it’s evolved because it, I think, successfully sums up the contrast between approaches. And it is to compare them to musicians. You know, I’ve always thought of Alan as being like a Mozart. He hears the whole symphony in his head and he writes out all the parts and the artist or the orchestra is the interpreter of that and actually kind of realizes those notes and those marks and those suggestions and those chords, whereas Frank is more like a jazz virtuoso, a Miles Davis or something. He’ll take a basic theme and then run with it and, you know, change things on the fly. We hardly changed anything when we were doing Watchmen. I would talk to Alan about what we were going to do, Alan would write the words, I would draw the panels and that was kind of done. With Frank, again, we would talk but then based on what I gave back to him, he would put new ideas in or change things around or… It was much more free form and organic and I enjoyed both approaches. The most important thing is to work with a writer who’s prepared to put as much effort into it as I’m prepared to put and certainly that’s one of the things that distinguishes Alan and Frank, their absolute dedication to what they do. That, to me, is the most important thing, As for the actual circumstances and the actual details of how you perform it, that’s not so important. Dave: Uh, there are a great many. I like the line Superman says to Carrie, “Isn’t this a school night?” It’s such a wonderful summation of Superman’s character and his kind of Boy Scoutness. But his kind of humor… If he’s the most intelligent man in the world, he’s got a sense of humor and that was one of those little scenes. I also liked the very end of it. 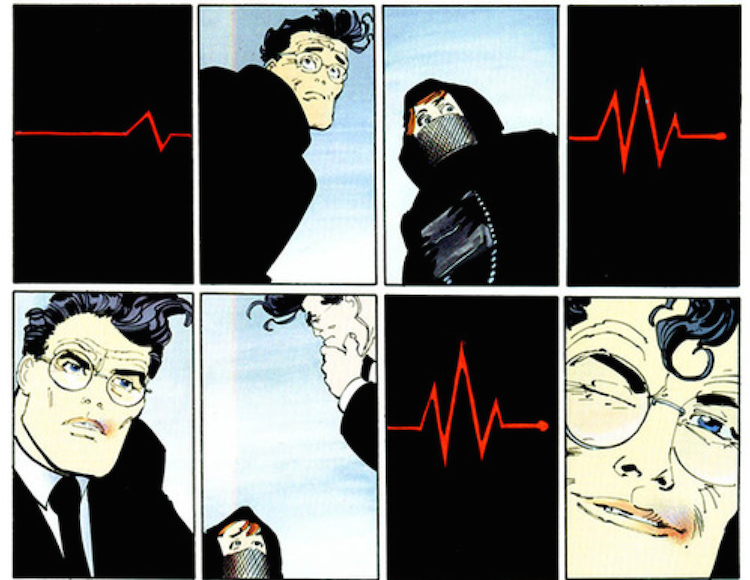 I like the way that Frank treated Wayne Manor being destroyed and Alfred’s reaction to it and the gravesites where Superman hears Batman’s pulse and just winks at Carrie, again a little bit like the school-night exchange. But just some wonderful, wonderful moments in there. I couldn’t really pick one. I’m sure I’ve forgotten 10 times as many as I’ve just mentioned. Dan: Last question — Your Dark Knight III # 1 variant cover is one of my favorites. What made you pick that particular image? Dave: Well, I suppose ’cause I just like Carrie and I love the relationship between this big, monolithic, stern Batman and this flighty, agile, brightly colored child. Well, teenager I guess you could say. I just love that contrast and that’s what I’ tried to bring out. And also, of course, what I essentially did was take a full-page panel that Frank had done and do it from a different angle, focus it slightly differently to have Carrie and Bruce coming towards us. It also didn’t escape my attention that that particular page of original artwork sold for some incredible amount of money. I think it was over $400,000! And I suppose a part of me thought, “I wonder if the guy who bought that would like the companion piece from Dave “Watchmen” Gibbons?